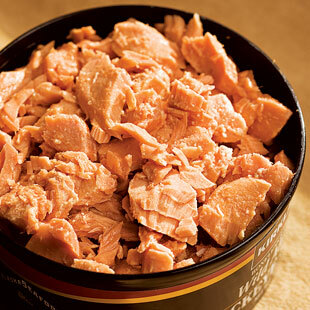 "Fish fats" prove a powerful way to protect the heart. As someone with a family history of heart problems, I struggle with far-from-perfect cholesterol numbers. I’m ever hopeful for a science breakthrough I can act on. I once ate oats every day for three months in an attempt to nudge my lipid values into healthier ranges; it worked, but alas, not enough. I still enjoy my oat cereal, but I know I need to do more. Lately, I’m eating more fish. Ever since my grad-student days I’ve been intrigued by the story of pioneering epidemiologists who sought to learn why heart disease was practically unheard of in Greenland’s Inuit people—despite their diet of high-fat, high-cholesterol whale and seal meat. The scientists discovered that two omega-3 fatty acids predominant in fish—eicosapentaenoic acid (EPA) and docosahexanoic acid (DHA)—were widespread in the Inuit blood and were likely protecting their hearts. How? When it comes to fats, we are what we eat: our cell membranes reflect the fat content of our diet. When we eat ample omega-3s, our membranes—including those of the heart and blood vessels—are more elastic (that’s how fish stay flexible in icy waters). Blood moves through the body more easily, reducing the risk of high blood pressure and blood clots. All this can help prevent hardened arteries and stroke, and lowers risk of an irregular heart rate. Lastly, EPA fights inflammation, a known disease risk factor. Inflammation is the body’s normal response to injury, but chronic inflammation seems to play a role in causing hardened arteries and other heart problems. But omega-3s are usually lacking in our diets, vastly outnumbered by omega-6 fatty acids common to processed foods made with vegetable oils including safflower and cottonseed. Omega-6s tend to promote inflammation, while omega-3s reduce it. Many experts believe our American diets tilt too much toward omega-6s, and that the best way to restore balance is to boost our intake of omega-3s from any source. So I’m doing my darnedest to eat more omega-3s. I aim to serve a fatty fish like salmon twice a week, and consider the seafood dishes first in restaurants. I sprinkle walnuts on my salads and make dressings with canola oil. As ever, moderation is key. Very high intakes of fish-based omega-3s (over 3,000 mg/day) can raise the risk of excessive bleeding or even hemorrhagic stroke. And, like any fat source, omega-3s are still calorie-rich. So focus on substituting (not adding) omega-3s for other fats you eat. After all, the most important thing you can do for your heart is to be at a healthy weight. Without that, keeping your heart healthy is just a fishing expedition. —Rachel Johnson, EatingWell’s senior nutrition advisor, is dean of the University of Vermont College of Agriculture & Life Sciences. Can Salmon Save Your Skin? What are food sources of omega-3s?